MarQ Spekt has been one of my favorite MC’s for a few years now. 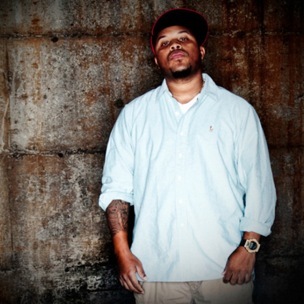 His album with acclaimed producer Kno was one of the best hip hop albums of 2011 and the video for their single “Wikileaks” was featured on Thought on Tracks a few months back. Spekt has flown largely under the radar in 2012, but that’s not because he hasn’t been putting in work. If you follow Spekt’s entertaining and informative twitter account, you’ll be amazed by the amount of projects he seemingly always has going on. His next project Broken Mazes has been hinted at for a while now, but he’s finally broken the seal and leaked the first single, “Dreamer”. Broken Mazes won’t be a typical hip hop album because instead of working with a traditional hip hop producer, Spekt recorded vocals over instrumentals created by famed experimental musician Gary Wilson. Wilson, who allegedly opened his vaults to Spekt, has music dating back to his heyday in the 70’s as well as more recent music he’s recorded since his resurgence on Stones Throw Records. The laid back music on “Dreamer” allows Spekt to stretch out his delivery and drop one of the most mature, accessible songs of his career, while still maintaining his craftsmanship and expert wordplay. If “Dreamer” is any indication the sound we’ll find on Broken Mazes, we’re in for something special. Download the song above and throw it on your late night chill mix, you’ll thank me later.